Just one month ago, Elisabeth Hille was living a typical life as a waitress in Norway. 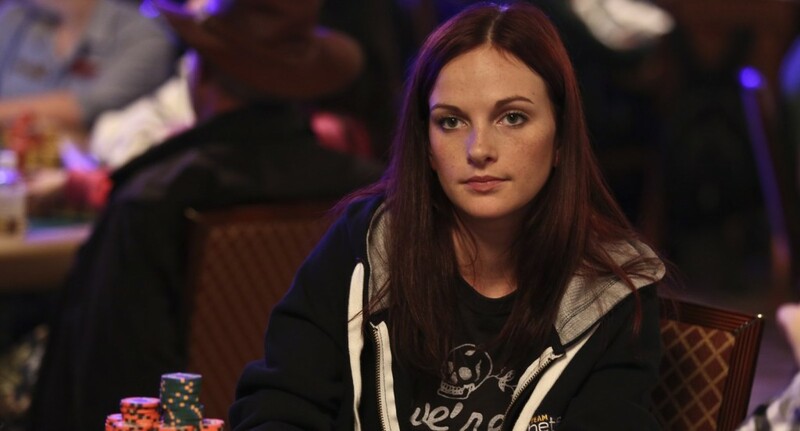 However, Hille’s life is anything but typical now after an excellent run through the 2012 WSOP Main Event that saw her finish 11th place and earn $590,442. Hille has also recently signed a deal with Betfair Poker, and so looks set to be one of poker’s next big stars. Following a 22nd place finish in the WSOP Event #59 $1,000 No-Limit Hold’em tournament ($20,499), Elisabeth’s boyfriend Harald Olsen gave half of his winnings to Hille. Olsen, who also plays at Betfair, wanted to see how his girlfriend would do in the $10k buy-in Main Event, and so decided to give her the money. When looking at Hille’s $590k cash, Olsen’s decision was definitely a good one since he received 50% of the winnings for staking her! Peter Eastgate – Eastgate is the most notable Betfair pro since he won the 2008 Main Event along with $9,152,416. The Dane has also won a 2009 PokerStars Caribbean Adventure side event ($343k) and finished runner-up in the 2009 EPT London Main Event ($844k). Overall, Eastgate has managed to earn $11,127,554 in live poker tournaments. Hans Vogl – Vogl first landed on the poker radar when he finished fifth in the 2007 Aussie Millions ($318,112). Since that time, the German has made a very good living as an online poker pro. John Tabatabai – Wales native John Tabatabai is best known for finishing second in the 2007 WSOPE Main Event ($1,148,130) to Annette Obrestad. In all he’s earned $1,489,400 in live tourney winnings. Although there are plenty of online poker players in Norway, the general Norwegian population doesn’t have a strong understanding of the game. Hille explained this, saying: “Poker is a very misunderstood game in Norway. I’d love it if more Norwegian girls got into poker because most of it is all online right now. I fell in love with the game straight away.” Now, with her recent WSOP win and Betfair Poker sponsorship, Elisabeth Hille will be able to play a key role in inspiring more Norwegian women to play poker. If you’d like to play with the poker pros at Betfair, make sure to sign up for Betfair Poker through RakeTheRake – you’ll get the best rakeback deal and a Betfair sign-up bonus worth up to $2,500!